I am looking for a female to rent one room (with a separate bathroom) of the light, bright and airy unit in Taringa. House is furnished and has a modern kitchen. This unit has 2 bedrooms, 2 bathroom and built-in wardrobes in the bedrooms. There is a refrigerator and washing machine included and other quality furniture. An air-conditioner is installed in the living room and all areas have ceiling fans. It also has secure parking in the lock up garage. 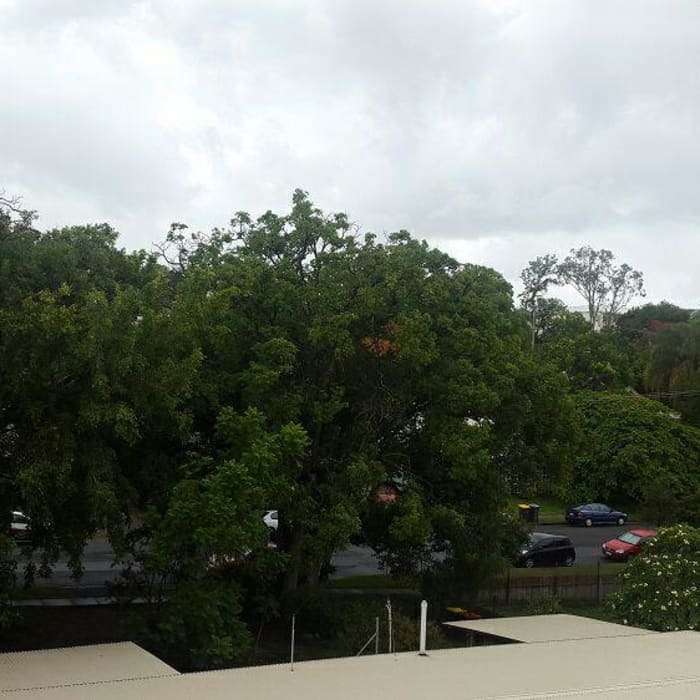 Close to public transport and Indooroopilly shopping centre. Beds, microwave, washing machine, iron, vacuum cleaner, carpet, electronic cooker and other cooking utensil. There is a big balcony in the living room. Amazing view from the living room. Located in a quiet beautiful street. Very close to public transport. One bus to Indooroopilly shopping centre. I am a PhD student. I am tidy and easy going. I am happy to live with a female in range of 20-45 years or even more. I like talking with people with different cultures and going walking every evening.